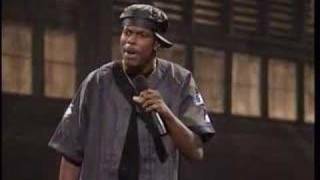 Tucker began his entertainment career as a comedian and appeared on the HBO stand-up comedy series "Def Comedy Jam" in the early 1990s, along with other comics such as Martin Lawrence and Dave Chappelle. In recent years, Tucker has performed on stage sporadically and also appeared at comedy shows in July in places such as North Carolina and Florida.He moved from Georgia to Los Angeles in 1992. That year, Tucker had a small part on the comedy series "Hangin' With Mr. Cooper." He later landed his breakout role as the pot-smoking funnyman Smokey in the 1995 film "Friday."